ഒച്ചപ്പാട് - My Voice! A platform for satire. : കേരളത്തില്‍ എണ്ണക്കിണറുകള്‍ !! Govt. should not be expected to provide blanket subsidies that are huge financial burdens and unsustainable in the long term at the expense of more essential ones like investment in education and health care. Some subsidies are to be provided to the poor for ensuring a descent living condition. This can only be sustained by targeted subsidies as the one that the govt. seems to be pursuing. 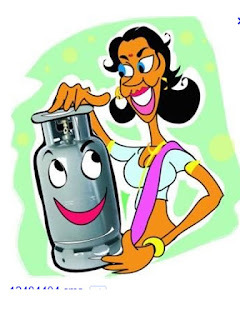 The subsidised LPG limited to 6 cyl (which would be sufficient for the economically lower strata as indicated by studies) and removal of subsidies for flats with common LPG distribution (used by economically well off sections) should be seen in this light.